Supply of chemicals for the Research Department. • Documents can be obtained from Kuwait University, Kuwait, by payment of KD20. • Tel: +965-24985205; website: www.kuniv.edu. Supply of consumables for the Research Department. Maintenance of laboratory consumables supply – Research Department. Upgradation of existing packing plant. • Documents can be obtained from Oman Cement Company by payment of RO100. • Tel: +968-24437070; fax: +968-24437070; website: www.omancement.com. Non-motorised passenger steps and conveyer belts. 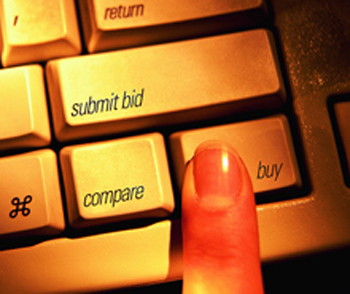 • Bid Bond: 2 per cent of bid value. • Documents can be obtained from Oman Air, Oman, by payment of RO25. • Tel: +968-24519987/24519526; website: www.omanair.com. Upgrading of 11 KV OHL (KDRB01 F6) at Al Buraimi Governorate. • Bid Bond: 1 per cent of bid value. • Documents can be obtained from Majan Electricity Company SAOC, Oman, by payment of RO36. • Tel: +968-24573300; email: proctendsection@majanco.co.om; website: www.majanco.co.om. Supply of drugs to Sultan Qaboos University Hospital. • Documents can be obtained from Sultan Qaboos University Hospital, Oman, by payment of RO185. • Tel: +968-24144680/24144688; fax: +968-24413156; email: supplies@squ.edu.om; website: www.squ.edu.om. Heavy duty racking system with mezzanine. • Documents can be obtained from Ministry of Defence, Oman, by payment of RO33. Maintenance of electrical and mechanical faults for transfer station at Al-Mesfah. • Bid Bond: 2 per cent of tender value. • Documents can be obtained from the Muscat Municipality, Oman, by payment of RO25. • Tel: +968-24753512; fax: +968-247553049; email: qs@mm.gov.om; website: www.mm.gov.om. Supply of furniture for labours hostels. • Documents can be obtained from Muscat Municipality, Oman, by payment of RO25. Lighting of roads and streets at municipality namas. • Documents can be obtained from Madarahamh water Riyadh Purchasing Management, Saudi Arabia, by payment of SR2,250. Maintenance of lighting columns at municipality namas. • Documents can be obtained from the Ministry of Municipal and Rural Affairs, Saudi Arabia, by payment of SR1,500. Tel: +966-11-4569999; fax: +966-11-4563196; email: info@momra.gov.sa. Supply of stainless steel tank, capacity 12,000 litres. • Documents can be obtained from Qassim Municipality, Saudi Arabia, by payment of SR2,000. • Tel: +966-163265000; email: info@Qassim.gov.sa; website: www.qassim.gov.sa. Supply and installation of security system. • Documents can be obtained from Asir Municipality, Saudi Arabia, by payment of SR1,000. • Tel: +966-72240666; fax: +966-72250336; website: www.ars.gov.sa. Supply of fire engines for the Air force. • Documents can be obtained from the Ministry of Defence and Aviation, Saudi Arabia. • Tel: +966-14789000/4785900/4777313; fax: +966-14011336/4026457; website: www.pca.gov.sa. Supplies and installation of security services and monitoring television, Al Jou. • Documents can be obtained from Purchasing Management Riyadh, Saudi Arabia, by payment of SR2,000. Supply, installation, testing and commissioning of smart electricity meters with head end system for high load consumers. • Documents can be obtained from The UAE Federal Electricity and Water Authority, UAE, by payment of Dh 6,000.